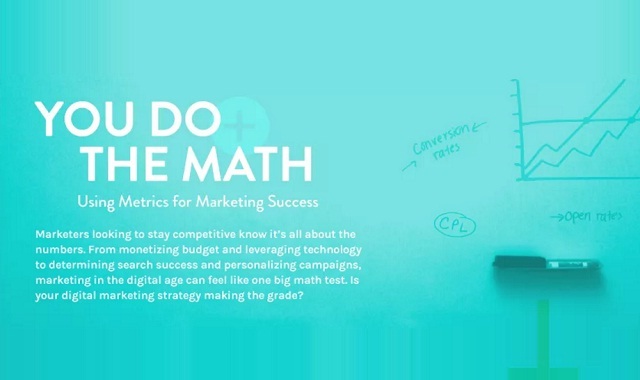 You Do The Math: Using Metrics for Marketing Success #infographic ~ Visualistan '+g+"
It’s all about the numbers, marketers are constantly trying to figure out if they are being successful in their marketing efforts. From monetizing budget and leveraging technology to determining organic search success and and personalizing your efforts, marketing in the digital age can feel like one big math test. In this infographic, we will examine how to get the right budget, leverage the right tools, solve the search equation, and test your content for maximum results. Is your digital marketing strategy making the grade?